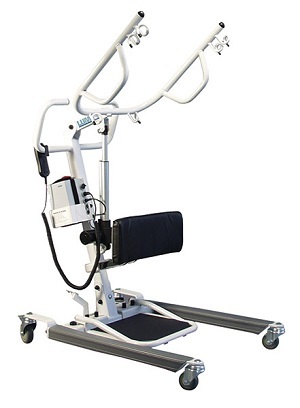 The Lumex® Easy Lift STS (Sit-To-Stand) by Graham-Field is a great lift for people that have trouble sitting down or standing up. The low base height of the Lumex® Bariatric Easy Lift ensures stability while easily fitting under most beds. The lift helps get people up and on their way that have trouble standing. The LF2020 Easy Lift STS / LF2090 Bariatric Lift STS is designed for use by individuals who can support the majority of their own weight. Lifting Range Min Height: 33.0"
3 year -Frame and spreader bar three year limited. Actuator two year limited. Batteries one year limited. Contact us for additional information on the warranty.